Gingerbread cookies are a Christmas favourite around here! 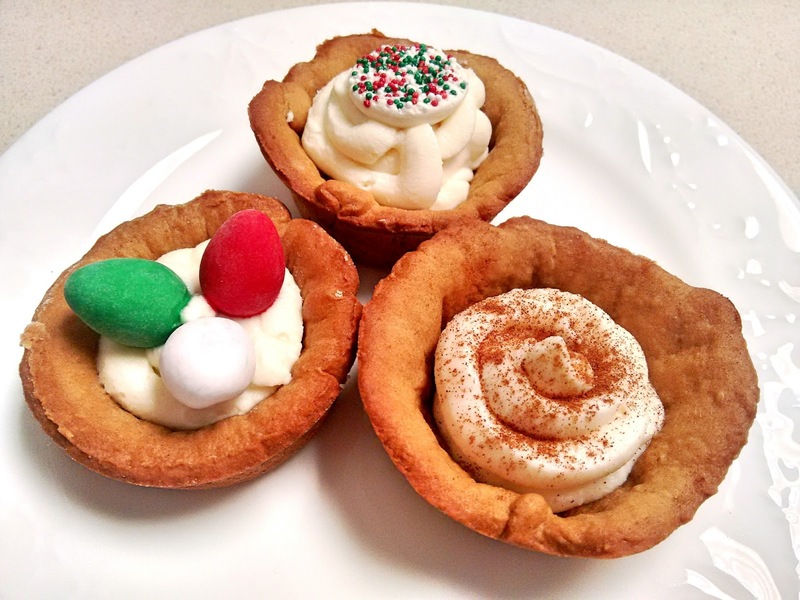 I used my mom's cookie dough recipe to make small pie crusts in a muffin tin, then we piped a simple cheesecake mixture into each one. We decorated with a variety of Christmas candies and spices. This recipe doesn't include any eggs, so they are allergy friendly. In a second bowl, combine flour, salt, baking soda and spices. Add dry ingredients and water to creamed mixture. Knead well until blended and form into a smooth ball. Cover and chill for at least 2 to 3 hours. Preheat oven to 3In a large bowl, cream butter and sugar. Blend in molasses and maple syrup. Preheat oven to 350°F. Lightly flour work surface, rolling pin and hands. Roll dough 1/4 inch thick and cut with5°F (see note above). Lightly flour work surface, rolling pin and hands. Roll dough 1/4 inch thick and cut with a circular cookie cutter or turn a large mug upside down. 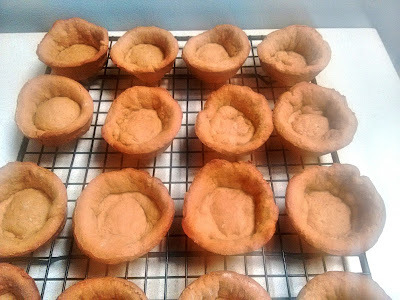 Press circles into muffin pan and bake for 8 minutes. Use a spoon to scoop out cookies and place on a cooling rack to cool fully before adding cheesecake mixture. In a large bowl, combine mascarpone, sugar and vanilla. Mix well with a hand mixer. Transfer to a piping bag. Pipe cheesecake mixture into each cookie and top with candies or cinnamon and nutmeg.